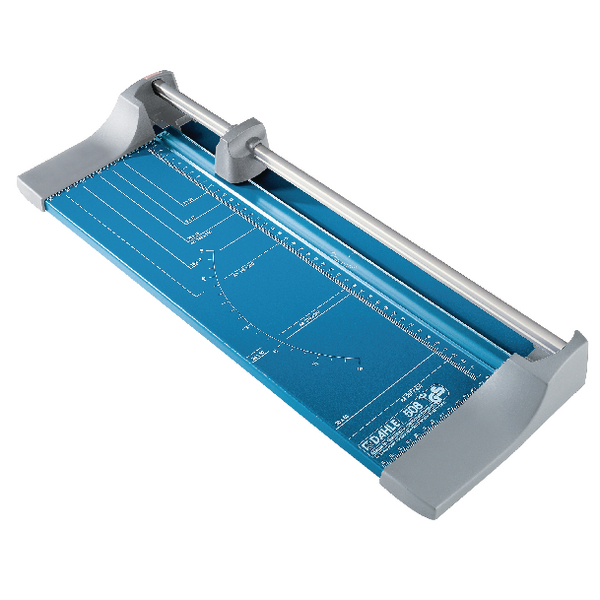 Low volume precision trimmers sturdily constructed in metal have an automatic clamp which holds the item to be cut. The table area is pre-printed with three scale bars in metric with photograph size. Capacity of 5 sheets of 70gsm paper.